Have you ever woken up with an unexplainable high blood sugar and wondered how it could be higher in the morning than it was at bedtime when you didn’t eat anything all night? We may have an explanation and some dietary things you can do to help. There are several reasons your morning reading could be high. Did you eat a high carb snack before bed? Does your insulin dosage need to be adjusted? Did you forget to take your medication? These are simple things can explain a high morning reading. 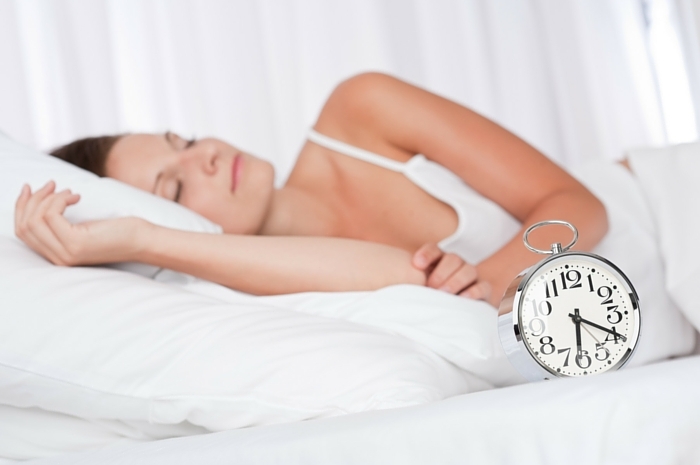 Another possibility is that your blood sugar went too low during the night. Known as the Somogyi Effect, the low sugar triggers the liver to pump out glucose to compensate. To determine if this is happening, set an alarm to do a few glucose checks throughout the night. If your level is normal all night, but then suddenly spikes in the wee hours of the morning, you can rule Somogyi out. If nothing else explains a morning blood glucose being at least 10 to 20 points higher than it was at bedtime, you may be experiencing the Dawn Phenomenon (or Dawn Effect). Between 4 am and 8 am, everyone’s body shoots off epinephrine, glucagon, cortisol, and growth hormones to stimulate the liver to produce glucose. This process gives the body an energy boost to start the day. Unfortunately, people with diabetes don’t produce the insulin required to compensate for this sudden sugar rush, which can lead to an early morning surprise. If morning highs occur on a regular basis, make sure you work with your doctor to determine what’s causing them. They can significantly impact your A1C and your overall health. Changing your medication dosage. For example, you may need additional insulin. Changing your medication completely. A dose of long-acting insulin, such as Lantus, before bedtime may solve the problem. Metformin is also often used to treat the Dawn Phenomenon since it inhibits the liver’s ability to produce glucose. Changing when you exercise. Working out late in the day may make blood sugar increase the next morning in some people. Many prefer working out earlier, so they can safely make adjustments throughout the day, when they are alert. You may also want to try some food-related treatments to see if they help. People with diabetes experiencing the Dawn Phenomenon have reported a few things they have incorporated into their diets to prevent morning highs. Check with your doctor before implementing any of these strategies. Nuts: Nuts digest very slowly and they have a small amount of carbs, creating the perfect snack for steady blood sugar. Try sprinkling a few pecans or almonds in some cottage cheese before bedtime. Alcohol: Diabetes Care also reported that people who drink a little alcohol at dinner may experience a drop in morning blood sugar. Alcohol is a sticky subject and can sometimes do more harm than good. Discuss this with your doctor and drink wisely. The type of alcohol matters too; a deep red wine is more beneficial than a sugary piña colada. Milk Thistle: Some research has shown that milk thistle may reduce blood sugar and cholesterol. Check with your doctor to see if this is a good option for you. Cashew Butter: Many people in online diabetes forums rave about the taste of cashew butter. A couple of tablespoons before bedtime may help in the same way that nuts do. Green Apple: Green apples are another slow digesting food that have some carbs, but not a crazy amount. The fiber content keeps things balanced as well. Yogurt: Skip the yogurts that have a ton of sugar and stick with plain. You might want to try Icelandic yogurt (one brand is Smári™), which is very thick since there are about four cups of milk squeezed into a 6 ounce serving. It’s lower in sugar naturally. For example, the non-flavored Pure version of Smári™ has 6g carbs and 20g protein per serving. To make it more interesting to eat, add some cinnamon, nuts, and/or green apple. To help prevent morning highs, you may want to try eating a low glycemic dinner (carbs with GI of 15 or less). One option would be a salad made with spring mix, feta cheese, red onion, pecan vinaigrette, crushed roasted pecans, and grilled salmon. 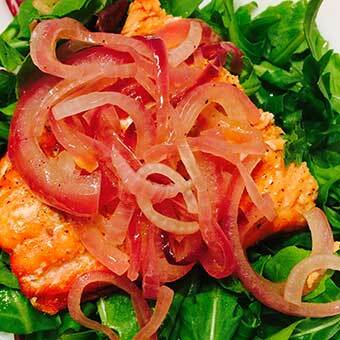 You could also try Broiled Salmon with Onion Marmalade over Greens. Once the Dawn Phenomenon has kicked in, eating breakfast is one of the best things you can do to slow down the liver’s sugar production. Breakfast eaters tend to weigh less for a reason! 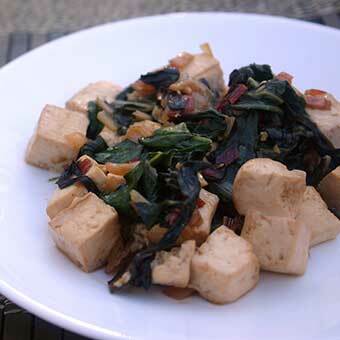 Eat a low-carb, nutritious breakfast like a poached egg over a bed of spinach, sprinkled with a little asiago cheese or try Tofu Scramble with Swiss Chard. Morning highs should not be ignored. There are many options available for getting them under control. Discuss which are best for you with your doctor or other health care professional. Karyn Wofford is a type 1 diabetic who has been educating herself about health and wellness for 14 years. She has been an Emergency Medical Technician for 5 years and is now studying to become a Health and Wellness Specialist. Her aspiration in life is to bring helpful information to those seeking to be as healthy as they can be.